She’s been performing for nearly a decade, but 2014 is shaping up to be Ingrid Michaelson’s biggest year yet. On Wednesday, the 34-year-old played to a sold-out crowd of approximately 5,500 adoring fans at New York’s iconic Central Park SummerStage. 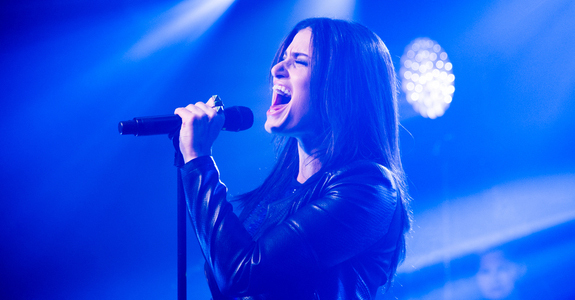 It was the singer / songwriter’s largest headlining show to date, and Michaelson was very visibly moved by the turnout when she stepped onto the stage to commemorate the milestone. But the size of the venue wasn’t the only reason that the flame-haired native Staten Islander was celebrating that night. “Girls Chase Boys,” the lead single off her new album Lights Out (iTunes), had just sold a coveted 500,000 copies. And her band surprised her by presenting her with a plaque lauding the achievement right before she broke into the song. 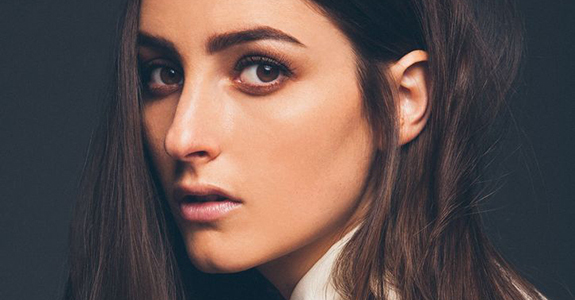 With an accompanying viral music video that pays homage to Robert Palmer’s “Simply Irresistible,” “Girls Chase Boys” is Michaelson’s highest-charting single since her breakout “The Way I Am” peaked at #37 in 2007. The upbeat track can be found not only on the Billboard Pop Songs top 40 chart, but also in a Target ad, movie trailers, and an upcoming episode of The Voice. Not too shabby for someone who was discovered on MySpace and doesn’t have the support of a major record label (Michaelson still records under the Cabin 24 Records banner–a label she started so that she can keep full artistic control and rights to her music). It’s not just the growing list of accolades that makes “Girls Chase Boys” a defining turning point in Michaelson’s repertoire. Upon its release, the song signaled an artistic evolution that found the singer straying away from her indie rock roots to exploring her pop sensibilities in ways she never has before. It became instantly clear that she’s now more inspired by artists like Sia and Lana Del Rey, who have managed to blend their unique styles with contemporary pop to form layered and distinct new sounds, than by musicians like Regina Spektor or the late Elliott Smith, whose influences were very apparent in her earlier work. When it came time to work on Lights Out, Michaelson decided to take a slightly different creative approach than with her previous albums. This time around, she chose to invite various other artists and producers to lend their talents to the record–including Busbee, A Great Big World, Katie Herzig, Mat Kearney, and Trent Dabbs. This allowed her to turn it into a passion project that resembled a musical family affair. It’s fitting, then, that when Lights Out was released on April 5th, Michaelson performed an intimate concert at the gorgeous chapel in Brooklyn’s Green-Wood Cemetery. With a tiny audience that included celebrity pals Taylor Swift and Mariska Hargitay, the exclusive event quickly underlined just what an emotional and raw record Michaelson had created. Performing many of the tracks for a live audience for the first time, the chanteuse masterfully introduced her sixth record–which would go on to debut at #1 on iTunes and #5 on the Billboard 200. In May, when the official Lights Out tour first hit New York, Michaelson told another sold-out crowd at Terminal 5 that she had just learned the day before that her mother was finally cancer free. Two songs later, she helped an audience member propose to his girlfriend, further amplifying the celebration of life that the night had turned into. It was there that Lights Out became the work of someone who had emerged from a period of profound devastation, rather than that of someone still trying to work through it. So when this week’s Central Park concert rolled around, Michaelson was ready to pull out all of the stops to make it her splashiest gig yet. All of a sudden, these songs of harrowing despair took on a new meaning of survival, and the singer was determined to show what that meant to her. For her last song before the encore, Michaelson played Lights Out closer “Everyone Is Gonna Love Me Now.” A ballad that builds to a cinematic crescendo, the song feels like it’s specifically written for audience participation. After teaching the crowd how to sing their part, the voices started to slowly trickle in before it felt like everyone there was fully participating. While this made for a similarly poignant moment at the Green-Wood Chapel, it packed an even mightier punch to see and hear a group of people so large come together and release whatever inhibitions they had to form a united chorus and appreciate Michaelson’s extraordinary talent. To wrap up the show, Michaelson sang “Afterlife,” the second single from Lights Out and the one for which she recently shot a music video. She prefaced the song by telling the audience that she has a tendency to neurotically worry about the past and the future, but has a difficult time living in the present. Yet that was all about to change. To Michaelson, “Afterlife” is about living in the moment and appreciating being alive. 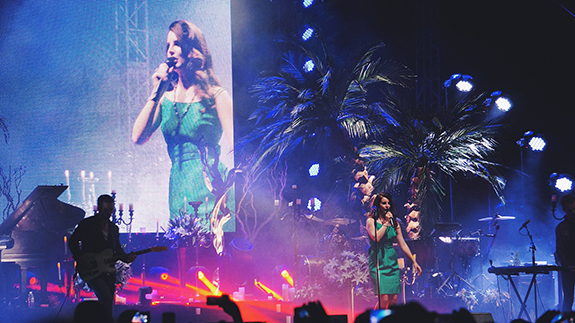 It’s a theme that was there throughout the whole show, but it was no more evident than during that last song. Joined on stage by all the guest performers from the evening, Michaelson had a lot to celebrate. It was the culmination of what proved to be the most critically and commercially successful point of her career thus far. No artist–and no audience–can ask for much more than that. 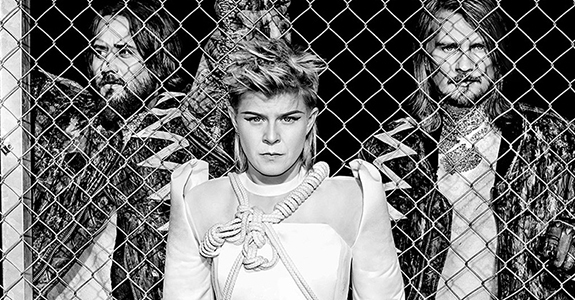 Robyn + Röyksopp = Perfect Combination!